As one of the fastest growing communities in the St. Louis area, the city of O’Fallon developed an ambitious master plan to create indoor and outdoor recreation opportunities for its residents. A portion of the $17 million bond as earmarked for the construction of a new indoor community recreation center called the Renaud Sprit Center. Counsilman-Hunsaker in association with Jacobs Facilities designed the 11,000 sq. 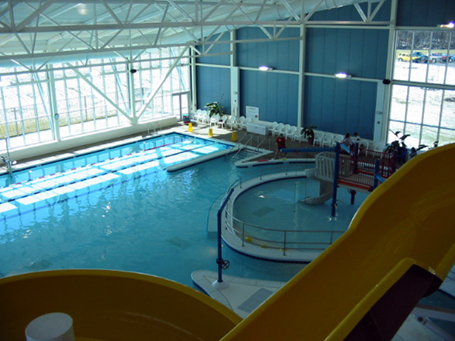 ft. indoor aquatic center that features a leisure pool with zero-beach entry, waterslide, play feature, water vortex, waterspray, and current channel. Also included in this facility is a gymnasium, walking track, fitness center, meeting rooms and parks and recreation administrative offices. Because of its unique design, this facility won the Innovative Architecture award for outstanding design in Recreation Management magazine in June 2006.